Group: 2 kbds (pf/Hammond soli; with additional synth,) gtr (elec./ac. ), bass gtr, drums/perc. Purple Records TPSA 7516 (October 1976). Philharmonia Hungarica; Eberhard Schoener, conductor. Jon Lord (keyboards); Cry Free: Olivér Lee (guitar); Csaba Kecskeméti (bass); Attila Nagy (keyboards); Tamás Tatai (drums); Attila Scholtz (congas and percussion). Jon Lord’s Sarabande was composed during 1975 and released as a solo album the following year. This new revised edition of the composer’s 2010 concert version represents the first appearance of the work in print in any form. Lord intended it for his own use in live performance, as a companion to his celebrated Concerto for Group and Orchestra. It is a brilliant showpiece for the combined forces of rock band and orchestra, taking as its inspiration the keyboard suites of J.S. Bach, many of which Lord had played as a young piano student. It opens with a brief and brilliant orchestral flourish in the manner of a keyboard improvisation, with a contrasting lyrical central episode. The second movement, from which the work derives its overall title, takes the Sarabande model and transforms it into a kind of jazz-rock waltz. There is a nod to Bach in a short duet between the two keyboard players, but the real source of the music is one of Lord’s favourite orchestral works, Vaughan Williams’ Fantasia on a Theme of Thomas Tallis, on which much of the movement’s material is based, including its syncopated Brubeck-like bass line, and its main melody. Most unexpectedly, the movement ends gently, with a more explicit quotation from the Vaughan Williams, for solo and tutti strings. Jon Lord was always happy to wear his influences on his sleeve, but the subtlety and craftsmanship with which he exploits his model here is both sophisticated and delightfully tongue-in-cheek. The warm and romantic Aria also acknowledges a distant descendant, that of Bach’s famous Air on the G String, and is followed by the work’s centrepiece, the wild and brilliant Gigue in which, after the opening orchestral flourish with its fleeting references to another favourite work of the young Lord, Dukas’ Sorcerer’s Apprentice, the music features extended solos from both keyboardist and drummer. The gentle Pavane follows, recalling the lyrical central episode of the opening Fantasia, while the Capriccio & Finale, in a splendid coup de théâtre, brings together fragments from all the previous movements, heard “as if a radio is tuning in and out”, set against a competitive groove from the band. The work finally comes full circle with a reprise of the opening. 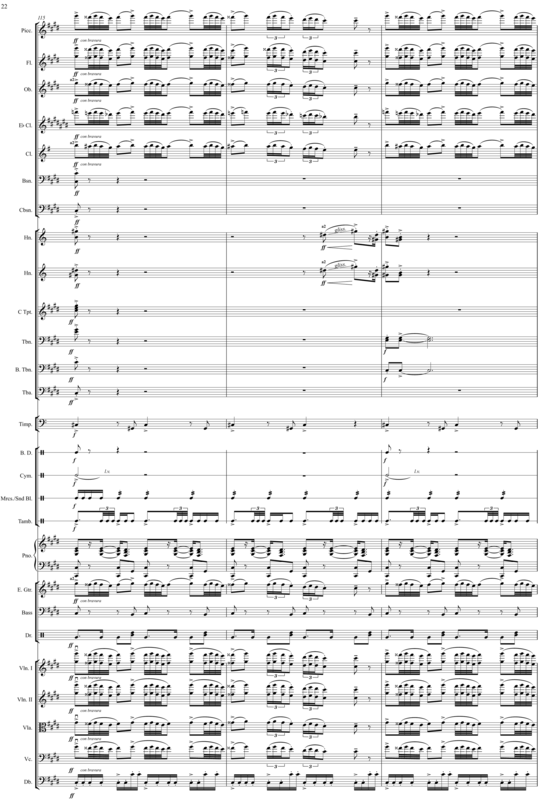 This new full score is edited by Jon Lord’s long-time musical collaborator, the conductor Paul Mann, making use of many previously unavailable sources, including the manuscript scores of the original version and a copy of the score corrected in consultation with the composer following the 2010 premiere. It can therefore be said to represent as closely as possible Jon Lord’s final thoughts on the work. The editor wishes to thank the composer’s family, Vicky, Amy & Sara Lord, and his manager Tarquin Gotch, for their support and assistance in the preparation of these scores. 1. In his own Gigue, Jon Lord quotes the Gigue from J.S. Bach’s English Suite No.4, a piece he learnt as a child in Leicester. Are this arrangements available to buy? 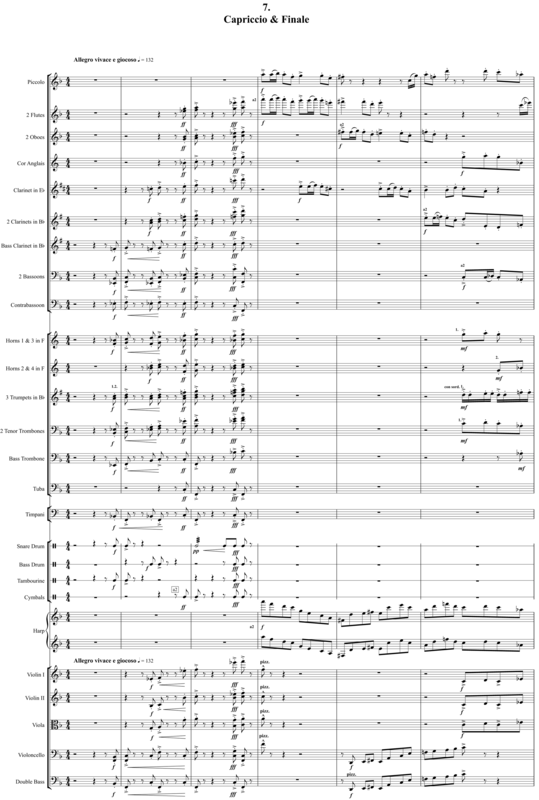 The scores of Sarabande and Concerto for Group and Orchestra are in the final stages of production now and will be available to buy very soon. Please keep an eye on the website for the details. Where and when are this arrangements available to buy? Dear Paul, in the last mail there was the info, that the Sarabande Score should be published by De Haske Publications. I can’t find any information on their site. Do you have any news ?!? Dear Paul, in the last newsletter was the given information about the Sarabande score to be published by De Haske Publications. On their site I can’t find any infos. Do you have any news concerning this ?!? Once again, apologies for the delay, but I’m afraid it’s out of my hands now. Hopefully we’ll see them soon. 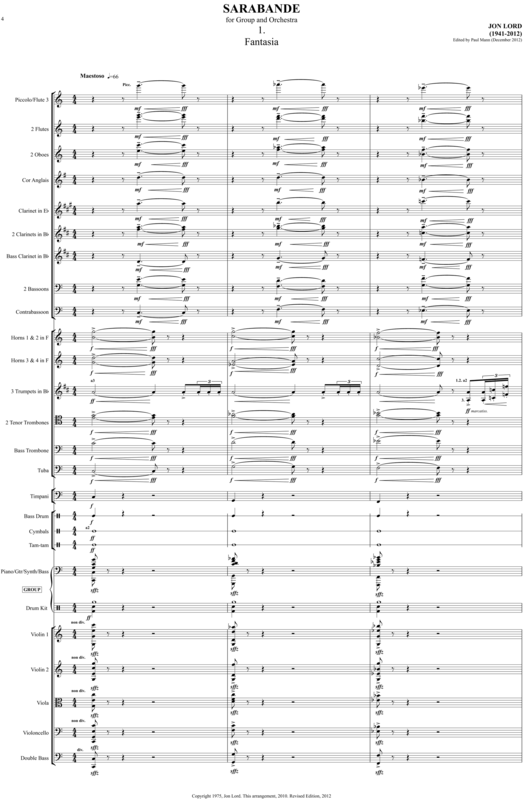 hello, if I buy a full score of sarabnde, can I Play it with academic orchestra and eventualy record it ? 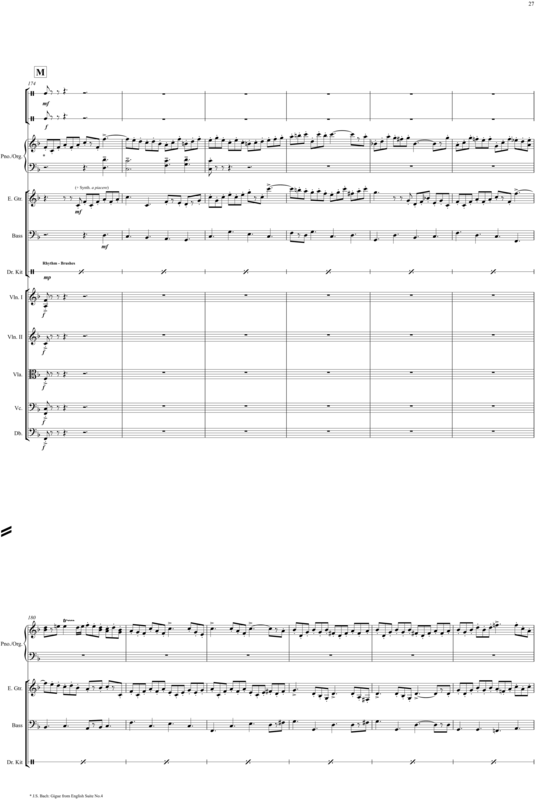 Hello, the SCORES of the Concerto for Group and Orchestra, ¿where I can to buy it? Thank you. Dear Paul, thank you very much for your transcription of “Sarabande”. I’ve always been a great Jon Lord fan, so I decided to make a cover version of “Sarabande”. You can see/hear it on YouTube (www.youtube.com/watch?v=jkx-Q6ZpJfc&feature=youtu.be). It’s my tribute to Jon. I hope you go on with your wonderful work.